Thanks to them, you get $20.00 off your first order. Delicious, nutritious, and convenient. 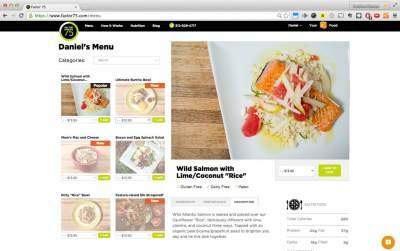 Get fresh, prepared meals delivered right to your door each week. 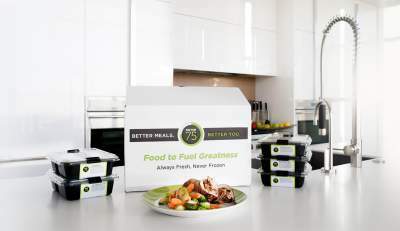 Incorporating Factor 75 meals into my diet has significantly increased my energy level- I've never felt better! 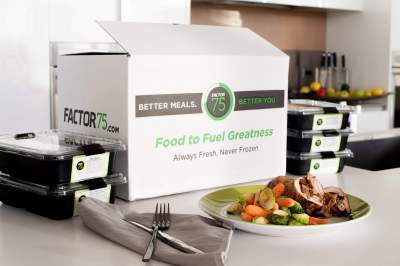 Factor 75 has made me a believer that healthy meals can taste great too! Factor 75's meals are extremely convenient for my hectic schedule as a working mom, and I love that I can enjoy a healthy meal within minutes! 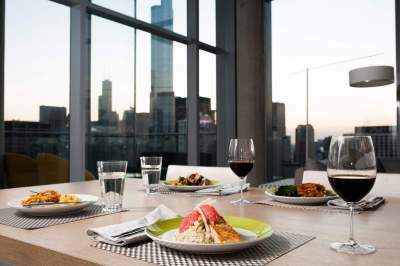 Our plans start at just 4 meals per week, and go up to 18. All our meals are free of gluten & soy, and most of them are Paleo-friendly too. Your meals arrive in an insulated, refrigerated box. All the packing material can be recycled. Yay, Earth! Your meals will be ready in 2 minutes or less. You can spend that time checking email, finishing a crossword puzzle, or feeling smug about eating so well without doing any hard work. Sign up and receive tips to help you eat healthier, stay focused, and feel fitter every day.